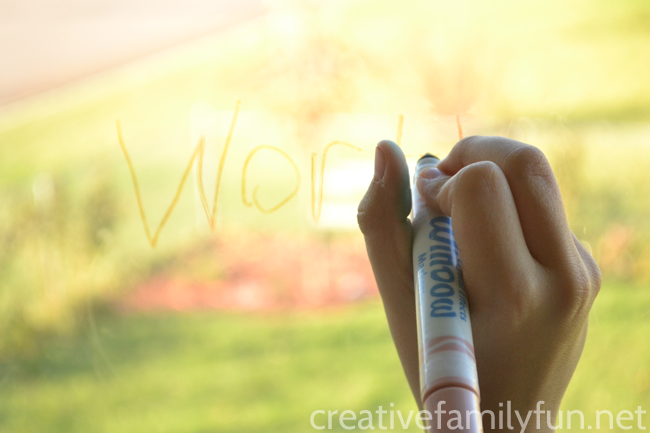 Have you ever let your child write on the window? Mine do all the time. They love it! 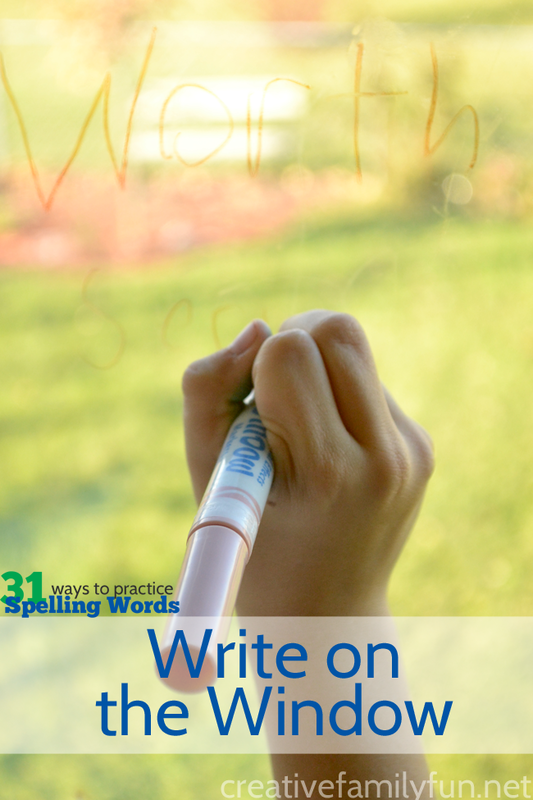 So, when thinking of ways to practice spelling words, one of the first ideas I thought of was that we should write spelling words on the window. It’s not as messy as it sounds, and if you have the right tools, clean up is a breeze. All you need is a pack of window markers and a clean window. Crayola makes a great set of markers that writes well, is easy to clean, and lasts about as long as any other set of markers. 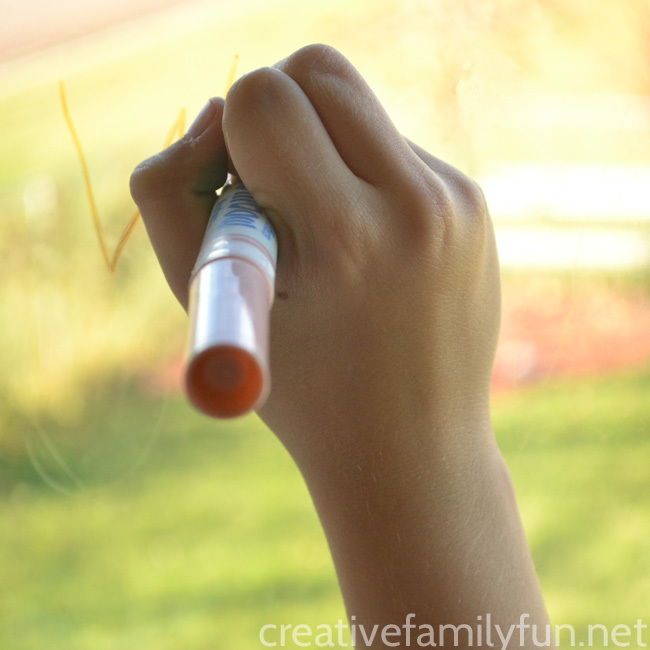 Once you have a pack of window markers, this activity takes no time at all to set up. Have you child write their words on the window once or even a couple of time. You can even do a practice test. I know, I know, I said no practice tests. But writing on the window makes everything much more fun! Tip: Clean up is a breeze. Just clean the window with your favorite window cleaner. 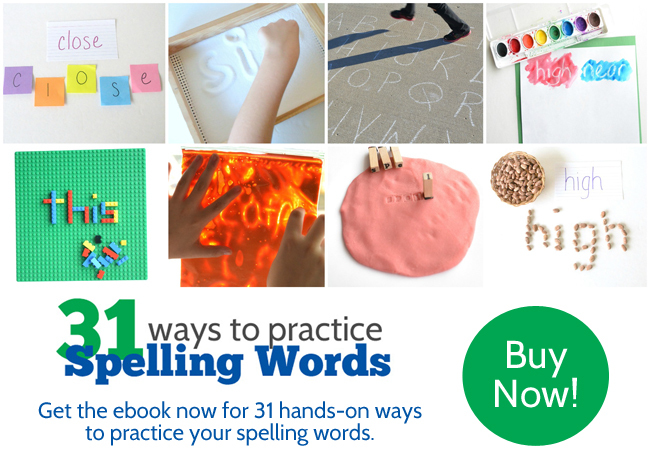 If you use a non-toxic cleaner, let your child clean up their own spelling words. My girls always get excited to clean windows! The next time your child has spelling words to practice, hand them a set of window markers and I bet they’ll have a blast while they write spelling words.